I came home from the gym…starving. BUT I wanted exactly what I wanted, which was a taco salad. I wanted crunchy, creamy, chewy. Anyway. I started with Vertical Paradise baby greens. Talk about Paradise! It’s February in Michigan and I can get my hands on this stuff. We’re working on YOU getting your hands on this stuff. 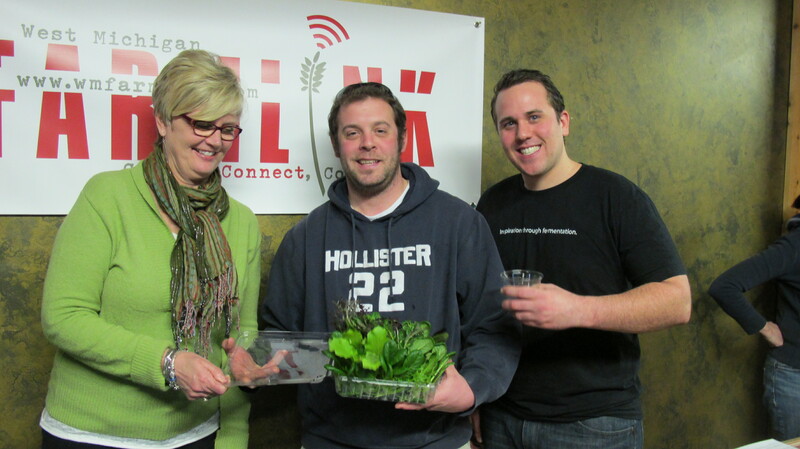 Come to next week’s supper club and lobby Tim Sharer, owner of Vertical Paradise Farms. Here’s Tim (holding his stash). 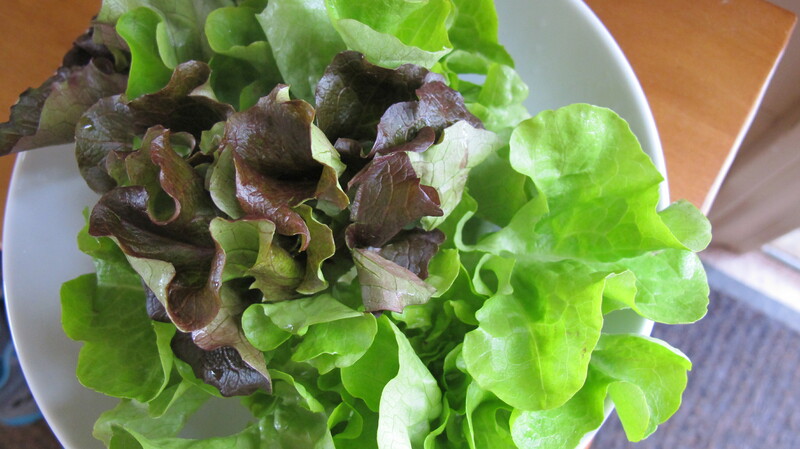 Back to the salad. I chopped up peppers and onions, heated a little water in a non-stick pan and sauteed them. After a couple of minutes, I sprinkled on some chili pepper and cumin. 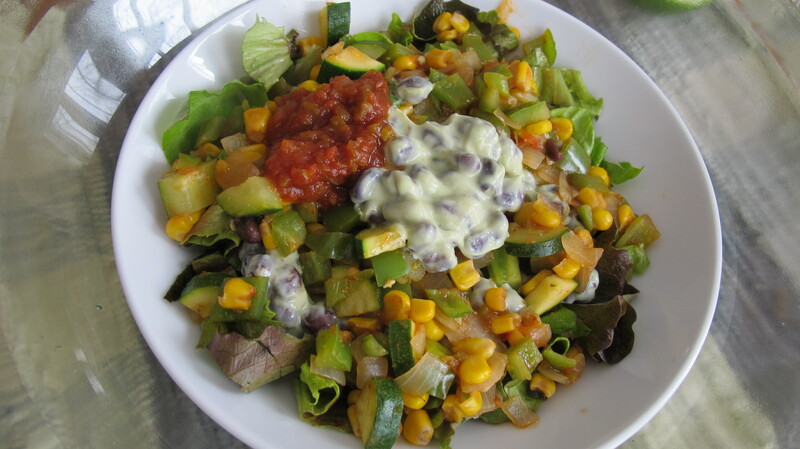 Another minute went by and I tossed in two small zucchini (diced), some frozen corn and a half a cup of salsa. I gave it all a stir, turned the pan to low and my attention to the dressing. Into my blender went a half a box of tofu (silken lite firm tofu), 1/2 of a big–ripe, people!–avocado, juice of one half lime, 2-3 tablespoons unsweetened non-dairy milk (you could use water) and whir away until it is perfectly smooth. I wanted to add just a little salt, but when I tipped my jar of himalayan sea salt, a big chunk fell out into the blender. Drat! I tasted it. Like the rim of a margarita. What to do? 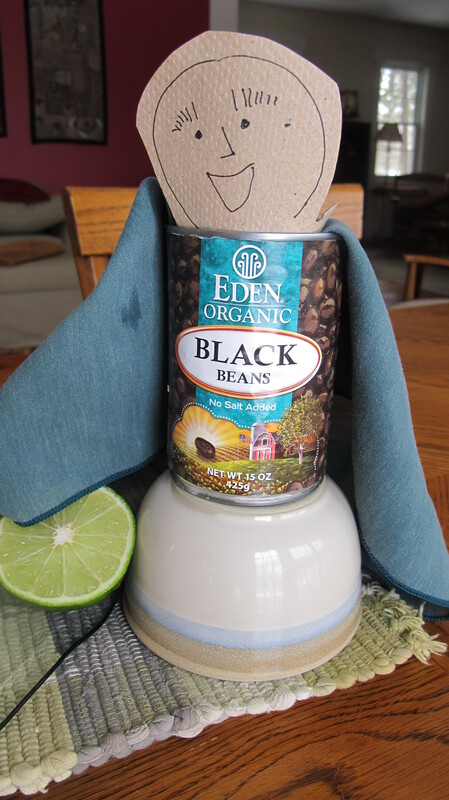 As I was sitting there, fretting, apron over my head, a can of Eden Organic No Salt Black Beans fell into my lap. How do you say Yum! in Spanish? 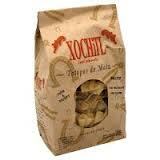 Add some super-thin and crispy Xochitli chips and you are fueled to save the world–one can at a time! Thank you Bean Can Man. ← Bon Appetit Cake Goes Vegan!